Complex says: In 1999, an all-star cast of politically active rappers—including Zack De La Rocha, Chuck D, Pharoahe Monch, and many others—created the one-time offshoot, Unbound Allstars, and made "Mumia 911." Mumia Abu-Jamal was a Panther who was sentenced to death after being convicted of killing a police officer in 1981. 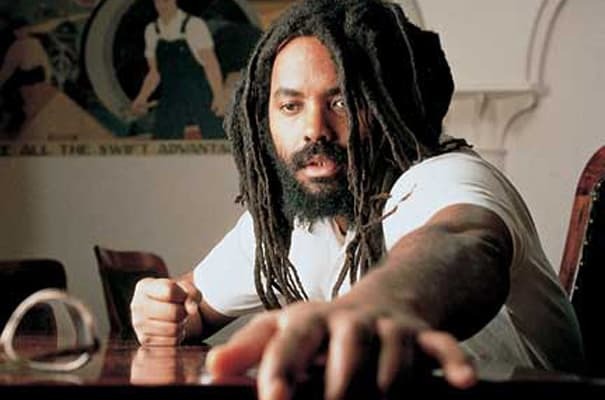 Mumia's imprisonment became the source of intense debate due to questions about whether or not he deserved the death penalty, if he was given a fair trial, and if he committed the crime at all. The song was created to raise awareness about Mumia's incarceration, making it kinda like the Black Panther version of "We Are The World." Mumia is currently still in jail, but in 2008 a Court of Appeals reconsidered his capital sentencing.